descriptionCane Valet Cane Holder by Maddak SP Ableware - 2 Pack - Hang or wedge a cane. 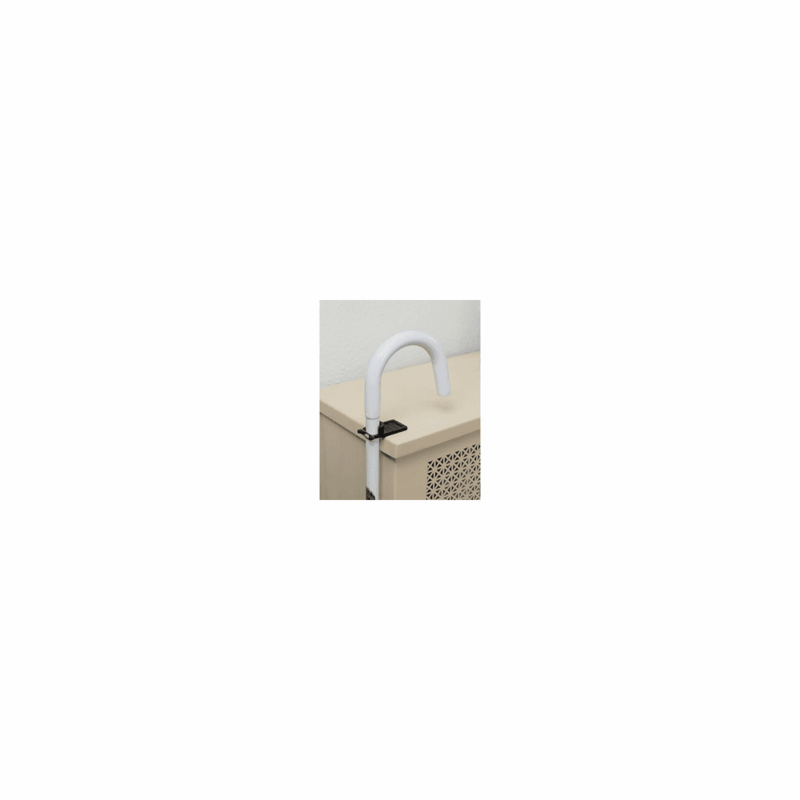 Small plastic fitting that mounts on a cane to hold it on a table edge when not in use. Snaps onto the cane and slides up or down to contact the top or bottom of the table. Can be used in pairs to contact both the bottom and top of a table. Small rubber band (4 included) placed around the end hooks of the holder maintains a secure grip on the cane shaft. Flexible plastic end hooks fit or adjust to most canes; see sizing information for specifications.